You should choose the best wood if you want to get the best results. First, go to a lumber shop and handpicking the wood that you find suitable for your needs. Make sure the timber is from a tree with extended lasting features. Such trees include cedar or cypress, and water can't degrade them. Also, the grain of the wood should not warp, split or twist under constant alternating rain and the hot sun. An excellent choice of nails is necessary because they determine how long the fascia repair or replacement will last. Ensure that you use stainless steel or hot dipped galvanized nails. These nails are an ideal choice because;• They are not affected by heat and water• They don’t rust• They are strong hence offer firm support for the soffit and fascia repairs. Note: Make sure you insert the nails don’t split the wood or stick out. If that happens, the repairs will not last, and water may penetrate through the splits in your fascia board hence increasing the chances rotting. Apart from incurring more repairs, it will also make you spend a lot of money in the long run. Last, ensure the boards in the soffit and fascia are painted to bring out a good look that compliments the color of the rest of your house and other outdoor features. The painting also protects the edges of the wood or metal sheeting used as fascia board. This is crucial because the edges are the most vulnerable parts of the soffit board. Dip the boards in a good paint for a few days to soak placing on the roof. In case you doubt your skills to do the roof fascia replacement for your house, you can always contact the Beaverton Gutter Pros. 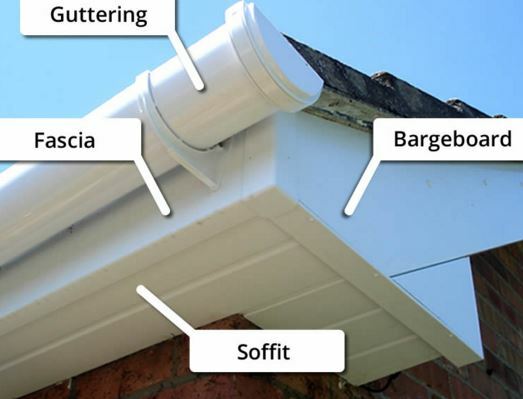 We will install, repair and replace your fascia at an affordable cost. We also offer additional services like cleaning and maintenance of your gutters.